It was a very early start for us on the morning of the 24th, getting everything organised and ready before the gates opened to the crowds. 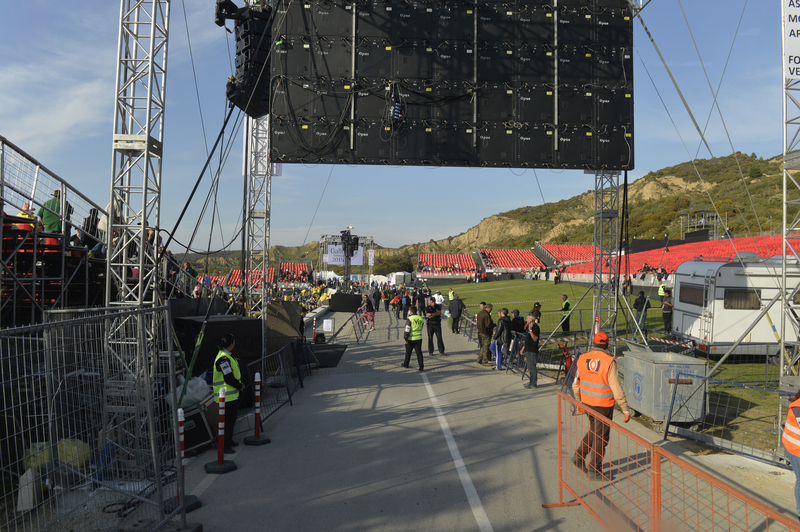 As I mentioned a few posts ago, us Youth Ambassadors had the responsibility of crowd management – we helped people find their seats and where needed pointed them in the direction of the site’s facilities. We paired up and each pair had a grandstand they were in charge of. Some of the merchandise stalls. 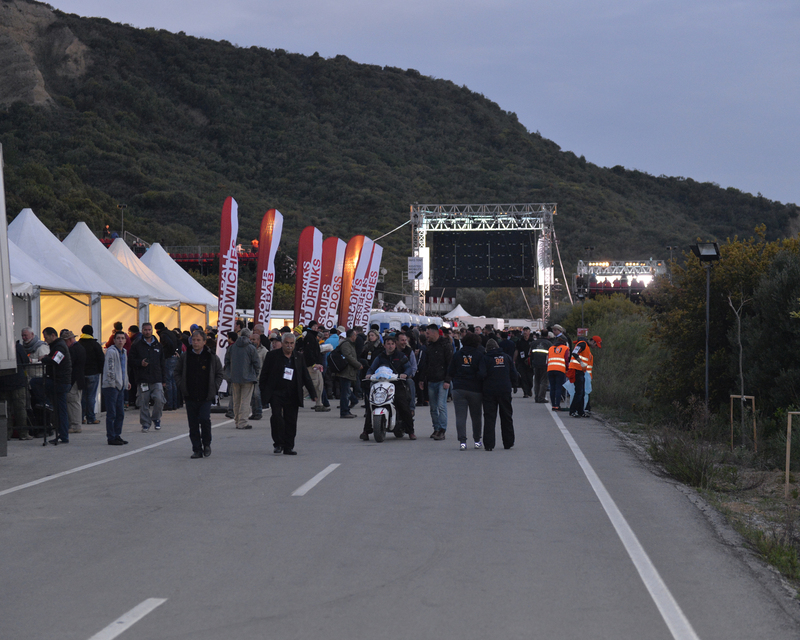 The first people began filtering in in the early afternoon, and by the time the gates closed again, it was 2AM on the morning of the 25th! 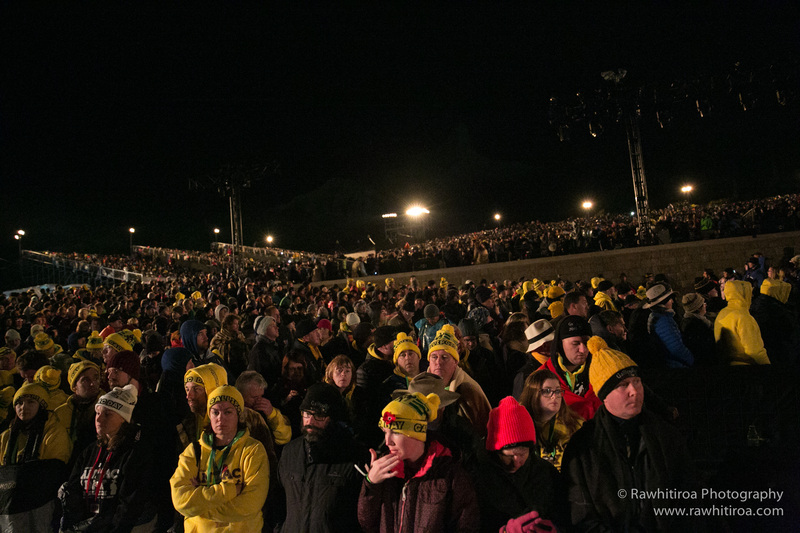 Ten thousand people filled up the stands and the grass; everyone in beanies, puffer jackets and sleeping bags. We really felt the conditions on the Peninsula as evening arrived – long before we left NZ, we were warned that the night of the 24th on the Peninsula was going to be very cold, but I don’t think any of us were expecting it to be quite as bitterly cold as it was. 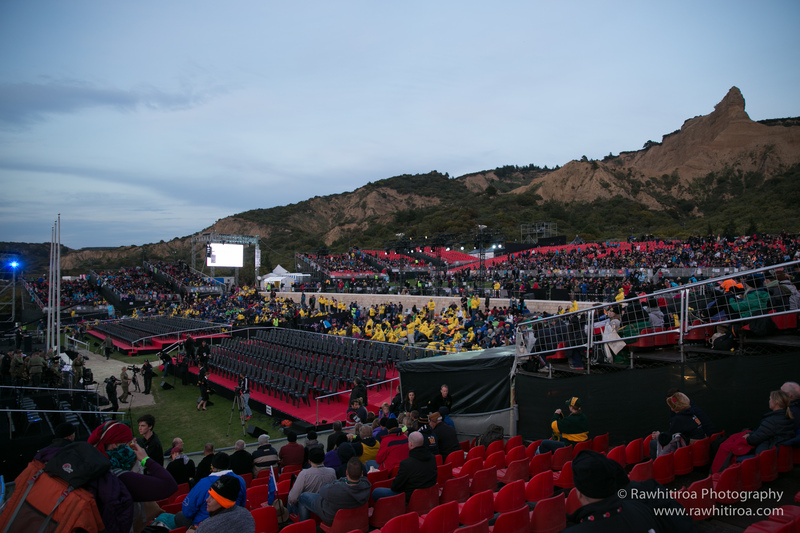 We were also told beforehand to watch for signs of hypothermia among people in the crowds! I had more layers of clothing on than I’ve ever worn at once, but even with those several layers – which included two thermals – I was still shivering. I have to wonder how the ANZAC troops managed to survive the ridiculous temperatures in only their uniform? 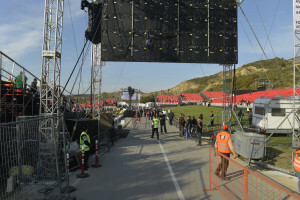 The site was still alive throughout the night and morning – you could see some people trying to get some sleep, others engaging in conversation, others at the merchandise tents buying warm blankets. Still others of course, were queuing for the port-a-loos (not so glamorous anymore after ten thousand people have been using them). That night all us Youth Ambassadors huddled up to sleep before our 3AM breakfast – I managed a whole one and a half hours of sleep! Suffice it to say, we were all tired…but still ready for the day! And I wasn’t expecting to have an appetite at 3 in the morning, but breakfast was so delicious! The crowds just before the service was set to start. Watching the Dawn Service on television is one thing but being there and experiencing it is something else entirely. 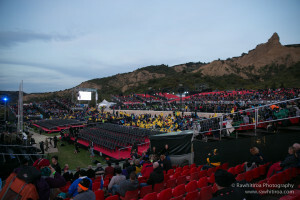 Sitting in reserved seating up front, we were closest to the beach which was just on the other side of the podium stage, and the arctic breeze coming off it was harsh. I have never been so cold in all my life (and I thought the previous evening was cold? – psh!) and I really was concerned that I was going to develop hypothermia. It was still pitch dark at that time of morning, so once the floodlights were switched off, you couldn’t even see the water. I remember that there was a moment of silence during the service – and it was real silence, despite the ten thousand or so people all occupying the same space – where all you could hear was the ambient sound of the waves lapping on the beach. In that moment, it was so easy to imagine the ANZAC troops arriving on their boats and scrambling up the beach for any form of cover from the enemy bullets raining down from above. It was too easy to imagine the many who weren’t lucky enough to reach shelter. All on that same beach in front of us. And though there were so many people present at the Dawn Service, there was an overwhelming sense of unity. All ten thousand of us had travelled far and were gathered there for the same reason, and it was a very powerful thing.